I have a superstitious conviction that every improbable enterprise, as long as it is carried out in a sensible and modest way, has a kind of divine right to one slice of luck every so often. All the rest of your luck may be bad, dreadfully bad, but every now and then you are entitled to expect — to demand, indeed, if only you knew whom to apply to — some specific, unmistakable manifestation of good fortune, no matter on how small a scale. Before I left home, I gathered as many books as possible about Central Asia and tried to either read them prior to leaving or bring them with me. Most of these are listed in this blog’s bibliography. 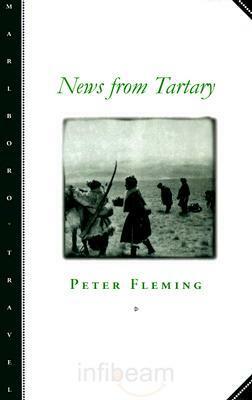 I’ve been reading one of those, News from Tartary, off and on now for a couple of months. I keep this story of an Englishman’s adventurous trek across Nationalist China’s wild west in 1935 in my office, and I take it with me when I have lunch alone or when I’m waiting for something to start, reading a few pages here and there. You can get a taste of the style from the excerpt about luck that I led this post with. The guy can turn a phrase, as might be expected from the older brother of the writer who created James Bond. But more than that, I have grown to appreciate the book’s old-fashioned rhythms, its post-Great War English cynicism, its elan describing a world that no longer exists. China, prostate no longer, Xinjiang and Tibet, their autonomy increasingly buried under a flood of Han Chinese immigrants, Great Britain, having shed an empire — the world has changed immensely in the 75 years since News from Tartary was first published. Ma, a typical Moslem — hook-nosed, bearded, vigorous, and velvet-capped — was charming and pressed on us tea and sugar and bread. Part of this is PC perhaps, but a bigger part of it is the understanding that people are more than the sum total of their stereotypes. Further, even the most bluff Westerners in a post-colonial age tend to tread lightly discussing far-off, little-known peoples, except when appearing on Fox News that is. That said, I appreciate Fleming’s flair and descriptive skill, and silently mourn that the sort of traveling he did is no longer possible. When you can get decent gelato in Dushanbe (I had bacio for dessert at lunch), there’s not a lot of mystery left in the traveling world. Nevertheless, while it’s cool to go to undiscovered places and see odd things, I think inveterate travelers tend to discount places closer to home due to that proximity. There’s plenty undiscovered and odd in the U.S. to see, for example; people, and I include myself in this category, often forget this, however, in their rush to hop a shared taxi to tour the walnut forest on the northern slope of the Tien Shen (which is supposed to be super-cool and which I’d really like to see).